and earn 10% or more in advertising fees promoting our products! 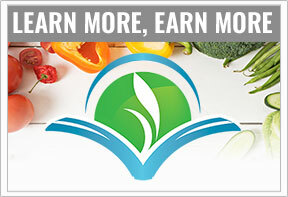 Earn money while spreading Dr. Fuhrman’s message of superior health through nutrition. 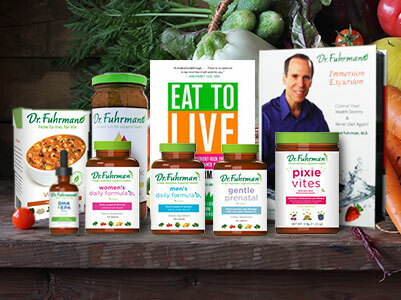 DrFuhrman.com offers individuals the tools and products they need to achieve and maintain a unique, healthy dietary lifestyle that facilitates weight loss, reverses and prevents disease, and maximizes longevity through nutritional and natural methods. Sales help fund nutritional research (nutritionalresearch.org). Generous affiliate commissions. Earn 10% or more on most products! Earn performance bonuses and increased commissions throughout the year! Marketing materials ready for your promotions. We have everything you need to start promoting DrFuhrman.com and start earning commissions! Our affiliate manager will work closely with you to help ensure your success! Popularity of DrFuhrman.com. Dr. Fuhrman’s increased popularity makes it easy to promote our products! He has written several books on nutrition, including The End of Diabetes, Eat to Live, Super Immunity, and The End of Diabetes which are all NY Times best sellers. Eat to Live has sold over 1,000,000 copies to date! As one of the country's leading experts on nutrition and natural healing, he has appeared on hundreds of radio and television shows including The Dr. Oz Show, Good Morning America, Today, and Live with Kelly and Michael! His own PBS television programs, Three Steps to Incredible Health! and Dr. Fuhrman's Immunity Solution!, directly address the crisis of obesity and chronic disease plaguing America and help support PBS stations nationwide. Our program is powered by Linkshare, the top affiliate program out there. Linkshare has been named the #1 Affiliate Network in the world. Joining is free and makes becoming an affiliate easier than ever! Find the answers to some FREQUENTLY ASKED QUESTIONS. Create a FREE Affiliate Account by clicking on JOIN NOW. Choose the banner and ad images you’d like to use on your website. Copy the provided code into your web page and publish. Sit back and start earning generous commissions for each product purchased through a click generated by the ads on your site. Interested in our Physicians Referral Program? This program is designed to help physicians spread Dr. Fuhrman’s message of nutritional excellence to their patients. Please contact us if you are interested in learning more about this program. Do you have a product that you think Dr. Fuhrman would be interested in promoting? If so, please contact our Affiliates Department using our contact form.